They say time flies and what a better way to prove it than to realize that when you least expect it the classic Seattle Sounders vs. Portland Timbers rivalry has sneaked up on you hitting its 100th match! Yes, there have been 100 matches between the two great PNW soccer teams. 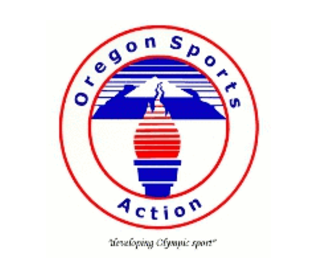 It seems, however, as if it was only yesterday when the two teams met for the first time at what it was then known as the Civic Stadium in Portland. Some say that it was a typical spring day with a lot of rain and, of course, a very eager crowd watching what would be history unfolding right before their eyes. To be more precise, the first game was 43 years ago on May 2, 1975 and the Timbers fell to the Sounders at their first game ever! And even though the Sounders weren’t the Timbers’ rivals right from the start, they have become one overtime. Throughout the last 43 years, Timbers fans have witnessed it all. Some highs, some lows. Some wins and of course the losses too. With all that, if you are a Timbers fan, you know soccer for Portlanders is much more than a sport. 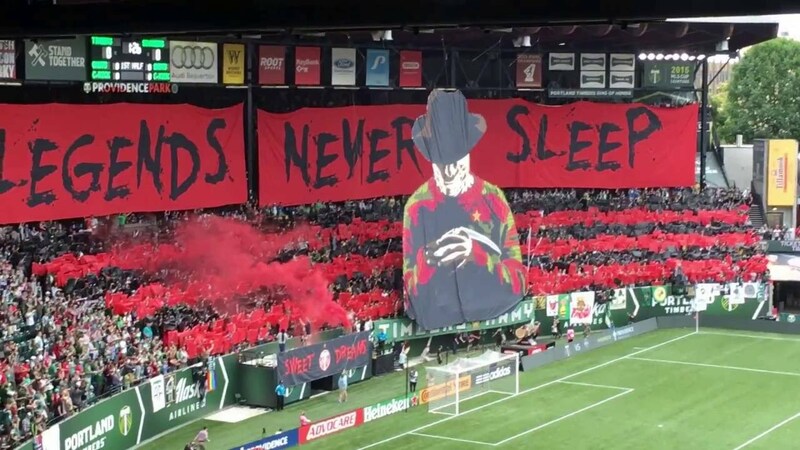 If you have any doubts, feel free to sit right by the Timbers Army at their next match! All that said, the highly anticipated 100th game between the Sounders and Timbers had to be visited by OSN! And without further ado, let’s jump right in and take a look at two Timbers who, in their own words, will share their experience with the team so far. More importantly, they’ll share their thoughts about soccer, their roles with the club and, of course, their expectations to the much anticipated 100th match! Profile: Transferred from Deportivo Saprissa on December 22, 2016. Made 25 appearances in his first MLS season with the Timbers and in 2018 has started for a second consecutive game in a 4-0 loss against the Red Bulls on March 10. Played 90 minutes in a 2-1 loss against the Galaxy on March 4. OSN had the opportunity to interview David Guzman at the Adidas Training Center in Beaverton, Ore. The first question yours truly had in mind was if he had recovered from an injury he had recently suffered an injury to his knee while competing for Costa Rica back in March. OSN: Hello, David. How are you? Welcome back! We understand you have been playing with Costa Rica. How did that go, or more important, how is that going? We understand you will be going to the World Cup? Is that correct? David: I am doing good, very good. It’s very important obviously when you are representing your country and we want to do things the right way for the country, for the family. You know there isn’t anything more beautiful than defending your own colors. OSN: Well, congratulations! We can’t wait to see what you do then. How long have you been with the Timbers? David: It’s been a year and so far this year the experience has been really good and I think that the group is very nice. The league is really good. I have felt as if I was at home, truly there isn’t much difference and I think I have been preparing myself to play here for a while. OSN: That’s great! What is the biggest difference between playing here and your native Costa Rica? David: Well, there is some difference in the infrastructure of the league. The league itself is very similar, but there are a lot of conditions here that CR does not have. I believe the league has grown a lot and they keep bringing good player and makes you a better competitor. OSN: You have a new coach this year and a big thing for bilingual player such as yourself is that he is too. What is it like to have the ability to communicate with your trainer in your native language? David: Well, it sure is important for those of us that just arrived and speak Spanish. Sometimes it’s difficult to understand English or maybe we don’t speak any at all. So having a coach that does, makes it more accessible to talk to in and out of the field on whatever message he wants to give us, it makes it a lot easier. OSN: You injured yourself recently. How is that going? Have you recovered? David: Very well. To tell you the truth, we are taking it easy. It wasn’t a high-maintenance injury or requiring too much attention, and now it is the coach’s turn to make a decision, I have already done my part, worked 45 minutes with the second team and did it well, it is all now a matter to wait on the coach to make a decision. OSN: The next game, is on Sunday against Seattle, a big rival by tradition. How do you feel about that match? David: Nothing really. It’s a very important game and is nice, it’s a game we all want to play, we all want to participate and we have to win, we are home, we need to take advantage of this chance. OSN: What is Your biggest challenge you see with Seattle? David: It’s another game for us and we have to play it. It’s at home and the tradition is exists, but we need to play it the same way and face the opponent as if it was a team from first or second standing. We need to see it as another game we must win. OSN: Some of our readers are young. Any specific message for those young kids who are playing at school, with Friends in an open field, etc.? David: To keep working hard, to take opportunities and do the right thing at all times, because at any moment the perseverance of the work you have will give you the opportunity to make it to where you want to be. Is very hard but you must make an effort and do all the things you need to do. I believe that good things always require work, but when the opportunity comes along is the best thing ever and you must take advantage. OSN: What do you miss the most of CR? David: Family, other than that we are good here. I am here with my wife, my two children, all is well. OSN: How long have you been with the T? Sebastian: This is my second year. I arrived last February, so I am year and a half into it. OSN: How have you managed the adjustment from Argentine soccer to USA? Do you feel a change? Sebastian: Oh well, it’s okay. Anytime you leave Argentine soccer behind it’s always to go to a place where the pressure is less. Argentine soccer is very intense. Well, it’s similar in Mexico, with the people, the ambiance. Sebastian: Yes, the crowds! There is no room for mistake! Not a chance to make a mistake, and over here you live it more in peace, you know is part of the game. OSN: How does that affect your technique/your game? Sebastian: It’s the same [as usual]. I think one gets used to living with that. I believe that if you are not prepared to withstand the pressure from the outside, you are not going to be able to play in the first division. But I do believe the pressure exists here, but in smaller doses. OSN: Very good, it’s always nice! I believe that each player and the people themselves anxiously await and from the moment the year begins, you start looking at the calendar to see when are you going to play them. I believe is one of the biggest classic and intense in the USA. And we like it a lot, more than anything because we have two out of three at home so we must take advantage of that. OSN: Yes, exactly! It is indeed a classic! In fact, the #100 appearance with this team! Sebastian: Yes that is 100! So we have to win it to make history! OSN: What can we expect from you on Sunday? Sebastian: I truly hope I can help the team with assistings, share a goal; we have been doing well. It would be important to work on that. And if not, to try to give our best so the team can win. OSN: One of the biggest changes for the Timbers this year is the coach. OSN: The coach is bilingual. What does it feel like to work with someone in the field that speaks your native language? Sebastian: It’s good, it gives us one more option. I have been practicing my English a lot because you have to get used to this culture, so you can let others know you are interested and it also helps the guys who are new and don’t speak the language very well. Because sometimes there are certain things that need to be more precise and you need your own language to understand so it’s important to have a coach that can speak both languages. OSN: What can we expect from you, not only with the Timbers, but within the MLS? Sebastian: I am trying to surpass what I did last year at the personal level. OSN: Last year you started running, didn’t you? Sebastian: Yes, I did start running! OSN: So in a way the pressure was self-imposed? Sebastian: Yes, that’s the way it is. Last year, we had a good season; you know standings are very important up here and I believe that this year I am going to try to surpass some of those numbers I had for last year, and to also help more in the field. OSN: Soccer is number one for a lot of us. Fans here in the area, what can you tell those kids playing back home outside their home, across the street? Sebastian: I always try to tell others to enjoy it. There will be time to feel pressured. There is a time and age for everything. To be mindful that if this is something they want and they feel this is the one thing they know how to do better, to try and to keep practicing because the opportunity will arrive. You should really make your way, because the road can be hard and there will be things you wont like. There will be really bad moments, but the important thing is to overcome them and wait for the good ones. OSN: What is the one thing you miss the most from Argentina? Dave: One always misses the friends, the gatherings. In Argentina you get together a lot. Eat, hang out! The azados! You get together to play a game or whatever. That’s what I miss the most. All and all, we can agree that Sunday at Providence Park is the place to be! Will the Portland Timbers make history by winning the 100th game while at home? Or will the Seattle Sounders repeat history and take it home like they did 43 years ago? I guess all we can do between now and then is wait to see it all! Very good interview! Insightful of player backgrounds and what it’s like to relocate to another country to play!